Pro tuning, re-heading, repair, rubber foot protection , embellishments and more…. 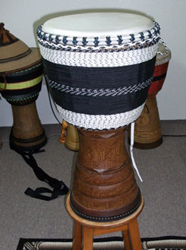 Monthly newsletter listing all the local (and beyond) African drum events/classes, African dance classes, drum/dance camps, etc. Contact: RhythmConnection@yahoo.com to be added to the list. All women welcome!! Drums/percussion instruments provided. 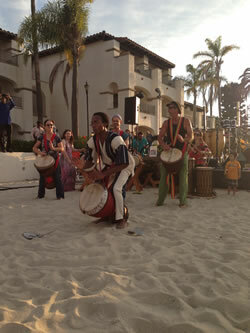 Hakili Drummers: the MO’RHYTHM School of Percussion San Diego drum performance group led by Monette Marino is available for events, parties, etc.